We specialize in the installation and maintenance of brick patios in Greenville. Brick Patio in Greenville – There are a number of benefits that come along with adding a patio to your backyard. If you don’t already have one, you may want to consider bringing our team in at Greenville Pavers to install one. Not only does a patio add value to your home, but it also allows you to enjoy your outdoor space much more. You can put your grill on the level surface and use it year-round to barbecue delicious meals and sides for your family. If you have kids at home, you can sit outside with them while they play in the yard without having to lug out a chair or blanket every time you want to be outdoors. Instead, you can add a furniture set to your new patio and relax with a drink while your children have fun together outside. One of the best options is a brick patio, since it offers durability and visual appeal. 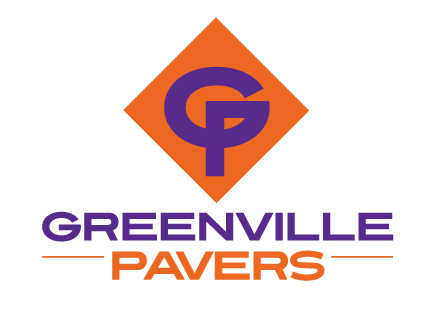 At Greenville Pavers, we specialize in the installation and maintenance of brick patios in Greenville, South Carolina. Once we install your new brick patio, you can enjoy its look and feel, as well as its functionality, for many years because this material is very durable and designed to last for years. Bricks hold their shape and formation even with high volumes of traffic or heavy items stored on top of them. If you notice that your brick patio is looking dusty or dirty, it’s easy to hose it off. Brick patios are low-maintenance, and if one of the bricks does crack or break, our team can come back and replace just that one instead of having to tear out the whole patio. A brick patio is also eco-friendly, so contact us today to learn more about having one installed at your home.